Now you can live at The Yorkdale Condos. 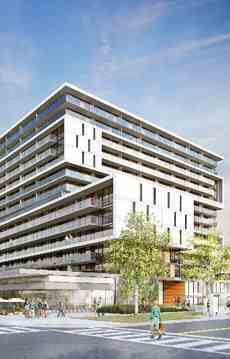 Inspiring Residences next to Yorkdale Mall, the TTC and 401. 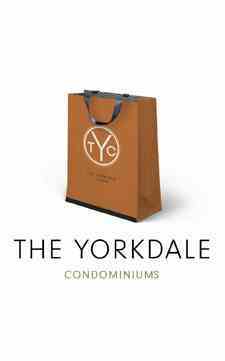 The Yorkdale is convenience, comfort, luxury, extravagance, premium and privilege. The Yorkdale is a rare opportunity for the privileged few, that may only happen once in a lifetime. Classic architectural design, the finest materials and luxurious features all come together at The Yorkdale Condosto offer you an experience second to none. The Yorkdale offers the Finest Shopping, Restaurants, Entertainment, Attractions right at your doorstep and a quick subway ride will connect The Yorkdale Condosto Downtown Toronto, York University, Ryerson, U of T and more.. Context Development is generally acknowledged as being one of the significant expert condo designers across the GTA, fabricating monumental urban structures highlighting bewitching artistry, ultramodern architectural design, and enlightened decadence. The grand structures enacted by Context Development consist of Library District Condos located at Front and Bathurst, and designed by KPMB, one of the most respected and award winning architectural firms in the country. The 29 storey tower is adjacent to Historic Fort York, and just minutes on foot to Lake Ontario, the King Street Entertainment District, and the downtown core; and nearby Market Wharf Condominiums and Town Houses at 1 Market Street which feature Workout Facilities, Yoga/Aerobics Centre, Saunas, Outdoor Garden, Sun Deck, BBQ, Party Room, Movie Screen Room, and Guest Suites.